This week violinist Ari Swan visits CKUT and we’re excited for her in-studio performance! We’ll also be chatting about Casa getting a flowery make-over, recent collaborations and who’s doing her hair. Tune in as of 8, we’re live ’till 10pm. CKUT.ca or 90.3 FM – that’s that! This entry was posted in CKUT programming and tagged ari swan, interview, Underground Sounds on September 16, 2013 by Nick Schofield. Hard choice, this one. 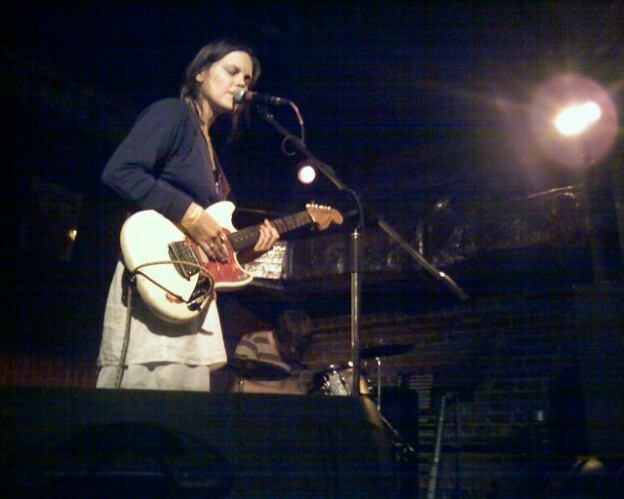 Badass melancholic women of legendary Scout Niblett and local Big Brave with rip-and-roar Dope Body from Baltimore. Across the street Thurston Moore and new MA rock 90s-slackrock outfit Speedy Ortiz who are literally exploding white-hot from the mouth of the buzz-cannon. Spastic noise jazz ginding-of-teeth Shining Wizard with anxiously-anticipated mems-of infamous local genderless rock spectaculars Femmemaggots and Very Heavy Squalor who I’m sorry I don’t know much about (yet). An evening fit for the weather. Some beautiful voices in there. There is a picture of the Dead C next to “Cult Following” in the dictionary. Marc Molner blew my brain off with a cello at Cafe L’Artere in the spring. Heavy, meditative, drone. Lung Butter: see above. Rae Spoon is a Canadian Icon for some, and a hero for many. New album release. This entry was posted in Events on September 16, 2013 by librarian.